Are you a Dog person? ... It is the Puppy Love Collection! 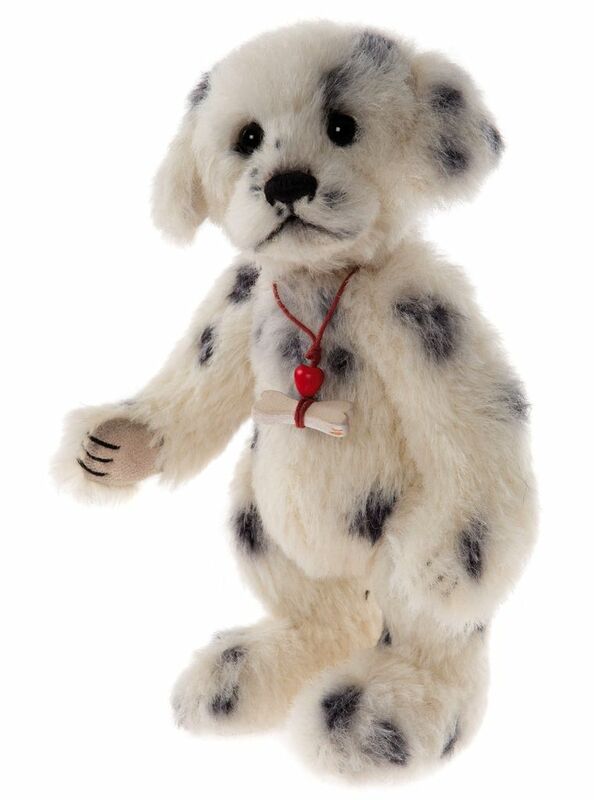 Say hello to Polka Dot, a gorgeous 20cm tall, fully jointed Puppy Teddy, from Charlie Bears 2016 Minimo Collection, designed by Isabelle Lee with Charlotte Morris Polka Dot has been sewn from a sumptuous mohair, with hand applied dalmation spots, meaning that no two puppies will be the same! She has lovelorn eyes, with an adorable stitched nose, plus flat feet, so that she can stand unaided. To finish, she wears a knotted cord necklace, with a heart and wooden bone pendant. So cute!